Should cannabis “farming” be assessed as industry or agriculture? A reader of this column who works as a property assessment analyst posted an interesting question to me recently: As commercial cultivation of cannabis commences across Canada in repurposed facilities zoned for industrial use, what is the impact on property valuation and assessment across jurisdictions? Cultivation and production of cannabis at either a commercial or individual level is regulated by the federal government. 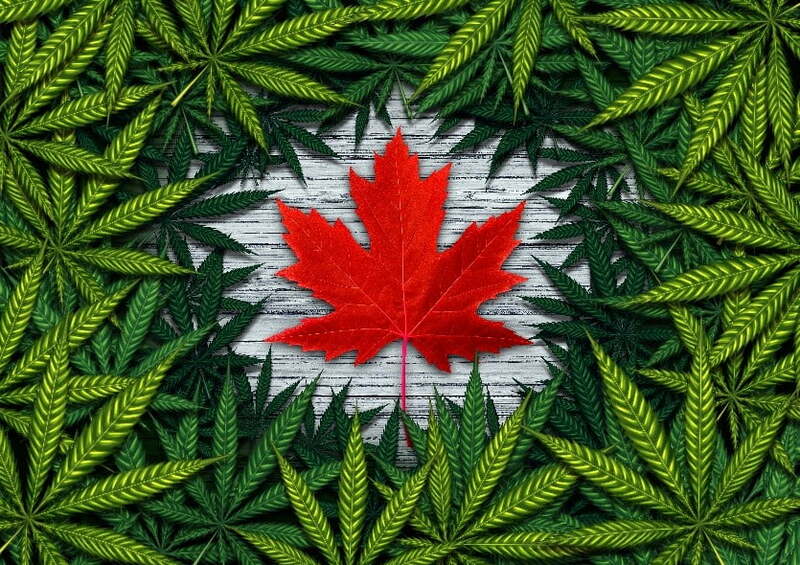 It is Health Canada’s responsibility to license the commercial production, import, export and sale of cannabis for both the medical and recreational markets. But these business activities take place in municipalities, and they have the responsibility to manage land-use designations and zoning. Flowing from this and provincial legislation, assessors face the task of classifying property for tax purposes as well as determining the appropriate assessment. Then, the municipality sets the resulting tax rates within its jurisdiction. Growing cannabis is essentially an agricultural activity, whether it’s in a new purpose-built greenhouse or a repurposed former industrial plant in an industrial zone. Either way, it is the growing of plants, but is it farming? Sure, we’ve long had commercial greenhouse operations for fruits and veggies, but the ramp-up of commercial cannabis production is a huge undertaking and nothing less than a gold rush. It’s not so straightforward, at least not in the eyes of some, to simply apply to cannabis production what might already apply to an existing greenhouse operation for fruits and veggies. For one thing, some municipalities might be concerned too much valuable agricultural land intended for crop production will be taken over by cannabis production. So, they only want it taking place in zones already designated industrial. The need to revisit existing municipal by-laws has been part and parcel with the growth of Canada’s domestic cannabis industry from Day One. Just take Smiths Falls, Ont., a small community on the world-famous Rideau Canal, with a population under 10,000. This is the home of Canada’s largest producer, Canopy Growth (WEED-T). It’s located in a 470,000-square-foot plant abandoned in 2008 by U.S. chocolate maker Hershey, which Canopy Growth saved from the wrecking ball. Regardless of federal hoops, the fate of the venture rested with local municipal council voting in favour, which it did. Canopy Growth had also considered the Ottawa Valley town of Arnprior, but in that community, zoning did prove too much of an issue. Other large-scale operations taking flight in the Ottawa area have also had to win municipal support with regard to zoning. One is the conversion underway of the former Nestle plant in the municipality of Chesterville. Another, in the community of Greely (within the City of Ottawa), involves the conversion of existing greenhouses from vegetable to cannabis production. In this case, the City of Ottawa passed zoning by-laws in 2014 that allow commercial cannabis production only in industrial zones. For cultivation in an existing greenhouse operation deemed agricultural, an amendment by city hall is required. How does it all impact assessment? How does all this impact the valuation of a property when it comes to its assessment and its municipal tax bill? In Alberta, cannabis production is viewed as farming even in a greenhouse and gets a tax exemption. Some U.S. jurisdictions take a pragmatic approach, ignore assessment, and just tax at four dollars per square foot. In Ontario, the Assessment Act is rather vague. It defines “farming” as including tillage of the land etc. The use of the word “includes” is permissive and subject to extension and does not specifically exclude the growing of things in a greenhouse. In Ontario, the definition is subject to interpretation. Compare that to Alberta, where farming is more broadly defined. That would suggest cultivation of cannabis, for whatever purpose should be considered a farming activity and any such facility or acreage used to produce it be designated agricultural for assessment purposes, even if it is taking place in an industrial zone. After all, are not most farms today, regardless of what they produce, commercial businesses that are industrial in scale? And yet, they are viewed, and assessed, differently than other industrial categories. Theoretically, perhaps. But, practical application is seldom so cut and dried. Municipal councils and committees across Canada are all over the map, turning themselves inside out trying to determine if a cannabis operation requires changes or amendments to existing zoning by-laws, an entirely new specific-use category, or if it can simply be classed within existing definitions for industrial or agricultural. For the owner-operator of any such operation, it all comes down to (as it always does) a determination of what is fair. How much of a difference does it make on your tax bill to be assessed as an agricultural concern, versus an industrial one? Do you feel the approach your municipality has taken is fair to your business and your bottom line? As we move forward with the growth and development of Canada’s legal cannabis industry, the burden of responsibility for making these zoning and land-use decisions will likely come to rest, not with individual municipalities, but with the organization within each province and territory responsible for classification and assessment (e.g. MPAC in Ontario). This will ensure consistency and avoid a dog’s breakfast of conflicting and contrary municipal bylaws. This will also make it much easier for the same dispute and resolution mechanisms already in place for assessment appeals to be applied to cannabis operations. If the owner or operator isn’t happy, off to court they go. We’ve built our reputation as the “go-to” firm – innovative thinkers with an in-depth knowledge of every corner of Ottawa-Gatineau real estate. Our unique real estate platform offers a complete range of services and experts, each with the goal, talent, and vision of creating opportunity and value for you. © 2019. The Regional Group. All Rights Reserved.